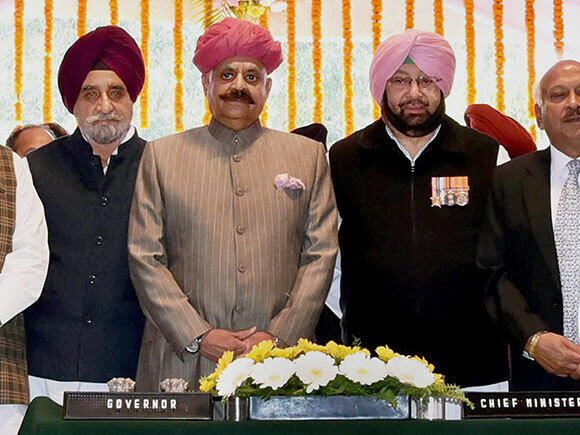 Punjab Pradesh Congress Committee (PPCC) chief Capt Amarinder Singh was sworn in as the state’s 26th chief minister at the Raj Bhawan in Chandigarh. 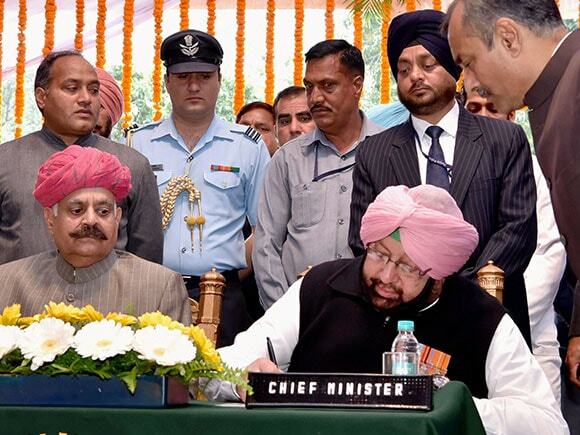 This is Capt Amarinder’s second stint as Punjab CM. 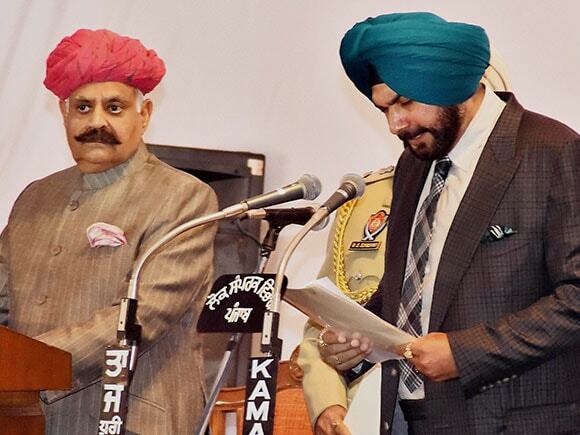 The oath of office was administered by Punjab governor VP Singh Badnore. 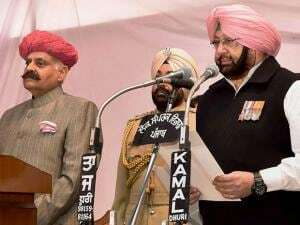 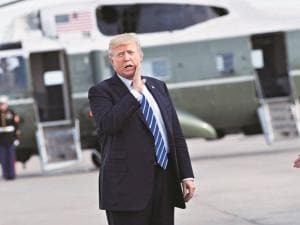 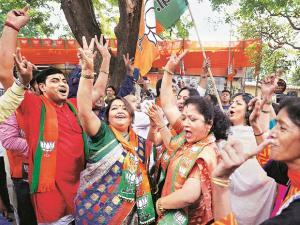 The constitutional cap of 15% ministers in the 117 – member House allows the new Congress government to induct a maximum of 18 Cabinet members, including the chief minister. Navjot Singh Sidhu takes oath as cabinet minister; goes on to touch Capt Amarinder’s feet.